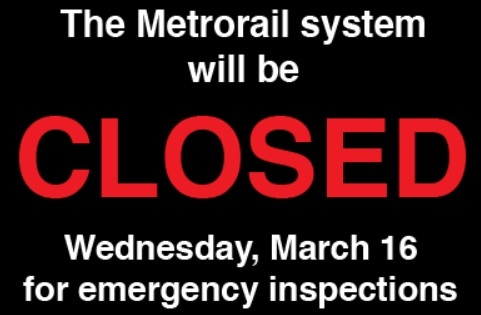 Metrorail Closed Wednesday for Emergency Inspections | Park View, D.C.
Metrobus and MetroAccess service will continue to operate on a regular schedule. Parking will be free in all Metro-owned lots and garages for customers who wish to take bus or carpool. This entry was posted on March 15, 2016 at 7:49 pm and is filed under Metro, Transportation. You can subscribe via RSS 2.0 feed to this post's comments.